The house was full of balloons last night as my mother-in-law was preparing for her latest gig. (She does party balloon decorations.) While they were pumping the balloons with air, Henry approached them and asked for a balloon and they gave them a white one. 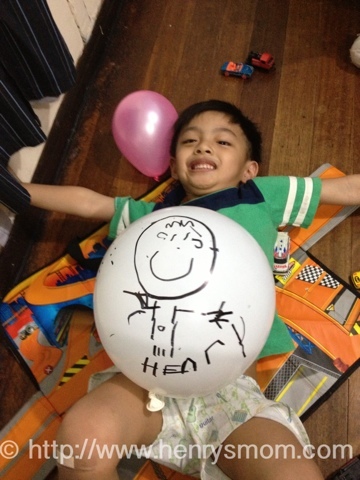 Henry went to our room to show me his white balloon which gave me a bright idea. *insert Ting! sound here. * I handed him a permanent marker and told him to decorate the balloon. He came back with this. He drew a portrait of himself! 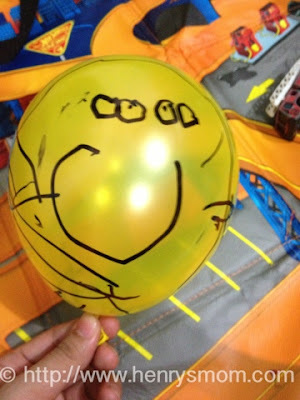 When daddy saw this, he asked Henry to draw a daddy balloon as well. 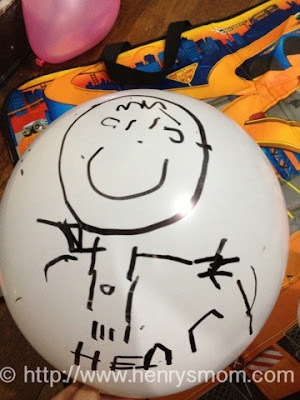 And so off he went to get another balloon and drew this. 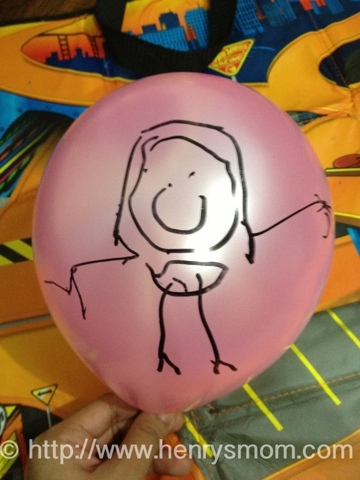 He made a balloon of version of me too. Balloon Mommy looks like a chicken, doesn't she? These guys kept the little one busy for about half an hour. He talked to them and made them dance. After which, he asked me to take this picture. Of course, they needed a family picture as well. 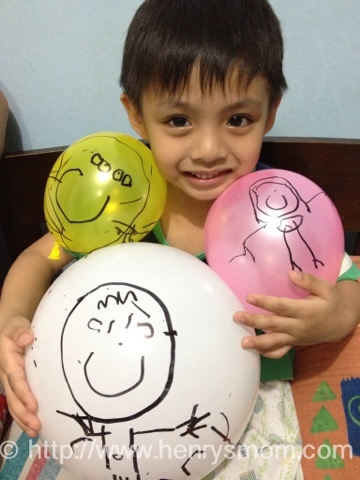 So, I present to you the complete balloon family with Henry. How do you keep your kids busy? I'd love to hear from you. I just made a Facebook page for Henry's Mom Blogs, hope you can be one of the first ones to "Like" it.